How old is your roof? If you don’t know, then it may be nearing its expiration. If your shingles are reaching their 20-year mark, then it’s time to receive a roof inspection from one of our roofing experts at Amstill Roofing. A roof inspection is very important for the life of your roof. This allows us to make sure your shingles are healthy and strong, and our roofing experts will be able to check for soft spots in the roof and places where water is collecting. All of these issues can cause serious problems, not just to your roof, but also to the interior of your home. Getting a roof repair or a roof replacement does cost, but catching issues before they worsen can save you a lot of money. If you put off roofing issues for too long they can cause internal damage within our attic. 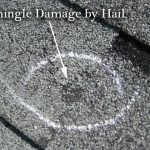 CRACKS IN THE ROOF: If water begins to seep through cracks or breaks in the roofing structure, then it can create mold, which can cause health issues to you and your family. Removing mold from your roof and attic can be a very costly endeavor because it requires removing and replacing sheetrock, insulation, and plywood. If there are cracks in your roof, get your roof repaired quickly. 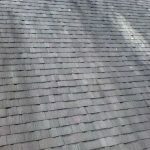 OLD SHINGLES: If your shingles are nearing their 20-year mark, then it may be time for them to be replaced because 20 years is typically the life of shingles. However, this warranty is commonly for 3-tab shingles. 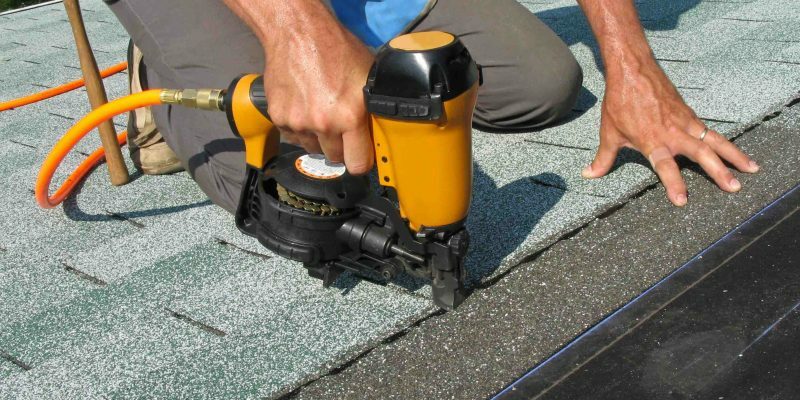 At Amstill Roofing, we provide three types of shingles: 3-tab shingles, laminate shingles, and architectural shingles. Depending on the type of shingles you choose, they could have a warranty for 50 years or more. Our roof inspectors can evaluate the health of your shingles and overall roof. We provide free roof inspections to all customers. We do this because we care about the safety and security of everyone’s home in the Houston area. If you are concerned about the health of your roof, then contact Amstill Roofing today. We serve all of the Greater Houston area, including Sugarland, Katy, Memorial and the Energy Corridor. This summer is a great time to get a roof replacement. 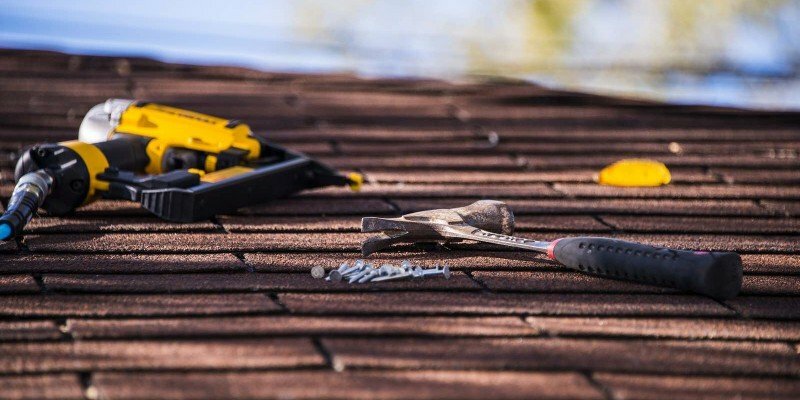 The weather is typically mild, except for the heat, which means storms won’t get in the way of putting together a new roof for your Houston home. It is also the perfect time to replace your roof because summer precedes hurricane season, which is the time of year your roof needs to be most secure. 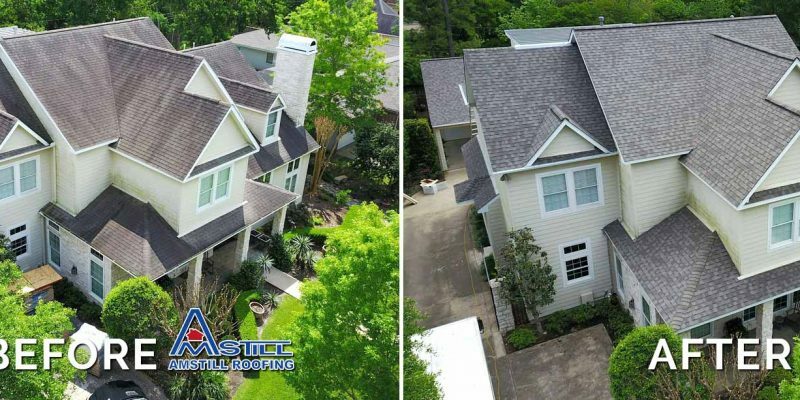 At Amstill Roofing, our Houston-based roofing contractor company focuses on all of the surrounding areas, including Memorial, Katy, and Sugarland. We have helped thousands of Houstonians secure new and sturdy roofs over the years and we are here to help make sure your roof is ready for whatever Houston weather will throw at it. Since we’ve been in business since 1974, we have had plenty of time to prove ourselves, not only to local residents of Houston, but also to material suppliers. This is why we are able to offer very affordable roofing prices to our customers. Our roofing material suppliers know our work and trust us. We have been acknowledged by several roofing material companies for our work, including GAF and TAMKO. We have been given the highest grade attainable by the Better Business Bureau, and are CertainTeed Select ShingleMasters. Our work stands on its own. When it comes to getting a roof replacement, we offer the best warranties, some reaching the lifetime of the shingles. Our Houston roofing company focuses on quality and endurance. Amstill provides every customer with highly professional roofers who are experts in their field. Almost all of our work is started and completed on the same day, which makes choosing us more than beneficial for your home and your family. Don’t let summer pass you by without taking care of your roof. If you are in need of a roof replacement, then contact us today. 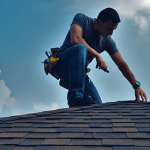 If you haven’t had a roof replacement in more than 20 years, then you are due for a roof inspection to make certain your roof is healthy enough to endure the coming years of Houston weather. We look forward to protecting your home by providing you a strong roof. Are you planning to go on vacation soon but still need a new roof? 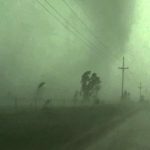 If so, Amstill Roofing can help. Our roofing experts will make certain that your roof is completely renovated by the time you and your family come back home from vacation. Our roofing contractor company covers all of the Greater Houston area, including Memorial, Sugarland, the Energy Corridor, and Katy. We have been providing Houston homeowners with strong, durable roofs and excellent customer service since 1974. We have earned the trust of Houstonians the city over and always guarantee our work. A vacation is the perfect time for you to relax and take it easy. Many homeowners prefer to be away from the house whenever home construction is going on. Nobody likes trying to relax while there is hammering on top of the roof. If you need a roof replacement or a major roof repair, then request one of our roof professionals to visit your home and survey your roof. During this inspection, we will take notes on specific problems within the roofing structure, the age of the shingles, and if there are any potential problems that could arise in the near future. Amstill Roofing has been built on trust and excellent work. Our reviews from our customers speak to that. We also only use the highest quality roofing material and equipment, which helps guarantee our work for the long-term. Whenever a Houston homeowner purchases a roof replacement or a roof repair from our roofing company, they know they are getting nothing short of the very best in every aspect: work, material, and customer service. WANT A ROOFING COMPANY YOU CAN TRUST? If you are planning to purchase a roof replacement or take care of a roof repair, then contact Amstill Roofing today. We are here to ensure your roof is in tip-top shape. And if you plan to go on vacation soon, we can still take care of your roof. Is Your Roof Protecting Your Home from the Houston Heat? The Houston Astros used to play a song during their commercials called “The Heat Is On.” From the looks of it, the Astros are in the midst of another pennant race, and from the feel of it, the heat is definitely on in Houston. You know what else is on? The air conditioning. The combination of high heat and old roofs can create costly energy bills, but you can beat back the heat and lower your bill by getting a roof replacement. If your roof is 20 or more years old, then it is definitely time to get a roof replacement. At Amstill Roofing, our roofing experts can put a new roof over your head that will increase your energy efficiency. ARCHITECTURAL SHINGLES: The architectural shingles are the thickest composite shingles on the market. Due to their thickness, they deflect heat more effectively than thinner shingles. These types of shingles also last the longest and have the longest warranty – typically 50 years to a lifetime. LAMINATE SHINGLES: Laminate shingles are thinner than the architectural shingles, but thicker than the 3-tab shingles. These types of shingles can help in deflecting heat, but it would be prudent to ensure there is a good layer of insulation under the roof. These type of shingles offer a really good warranty as well, typically ranging from 30 to 50 years. 3-TAB SHINGLES: These type of roofing shingles are the least expensive on the market. Due to their lack of thickness, it is recommended to have a good amount of insulation in the attic and it wouldn’t hurt to have a radiant barrier applied as well. Houses with good shade from trees typically do well with energy costs. The warranty on these shingles typically are no more than 20 years. If you have noticed problems in your roof or that your energy bills have dramatically increased over the years, then it may be time to schedule a roof replacement from Amstill Roofing. Before we conduct any work on your roof, we always provide a roof inspection to make certain your roof gets the care it needs. Contact us today for one of our roof inspectors to come to your home.